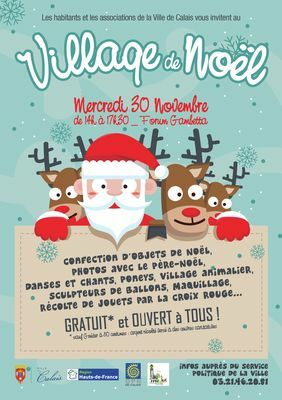 The Gambetta Forum dons its best winter garb and welcomes the Christmas Village in an enchanting setting, for the enjoyment of all. Young and old alike can try their hand at making Christmas objects, singing, dancing, a pony ride... treasuring the memory of this day with Father Christmas. All in a friendly and festive atmosphere. On this day, children can bring a second-hand (in working order) or new toy to exchange for a surprise. The toys collected will be redistributed to The Red Cross. So all children will be able to share the magic of Christmas! Only the afternoon snack carries a charge, of €0.50, all of which is passed on to a charitable association, to make the dreams of sick children come true. There is no review about Christmas Village, be the first to leave one !